Top page > List of companies > iCreators Inc. 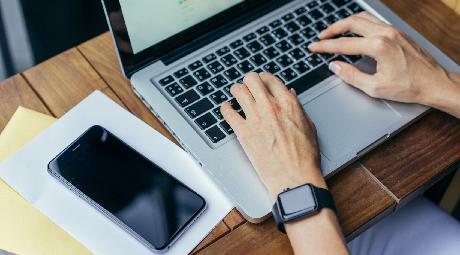 Established in April 2014, iCreators Inc. is a consoling company focuses on providing consulting services regarding the planning, production, utilization, maintenance of software. We also do software developments as well. We intend to provide services mainly in “embedded software”, “PC software”, “smartphone software” as well as other areas to make contributions to our clients, businesses and to the society. <br>The name “iCreators = creating I”. Then what is “I” exactly represents? This “I” represents『innovation』, 『idea』, 『image』, 『impact』, 『development』etc. which we come up with all the original ideas and make the creations by our own. We are a company with big dreams, please stay tune for our growth! 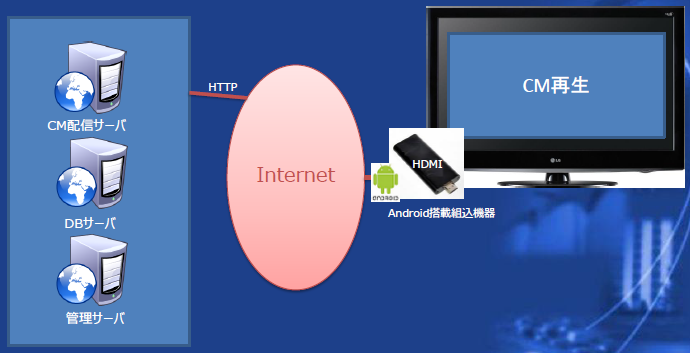 It is a system embedded with Android in which allows the TV to connect with the Internet then allows the users to watch clips with the internet signal. 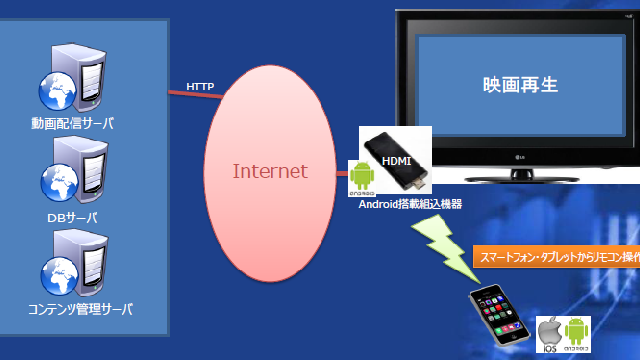 This Android embedded system doesn’t have a monitor, so it must use remote controls to make the selections. The TV will show the menu for users to choose from. After the selection completed, the users may watch clips on TV.